This 300 AAC Blackout ammo by Sellier & Bellot gives you the consistent performance you want on the range at a price you can afford. The 200 grain full metal jacket projectiles are fitted into Boxer-primed brass casings that are new-production and reloadable. The copper jacket envelopes the lead core for a cleaner shooting experience, especially at an indoor range. These rounds are subsonic and have modest muzzle velocity of 1060 fps. 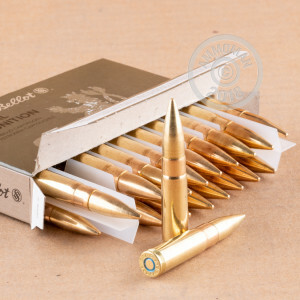 These cartridges are manufactured in Sellier & Bellot's factory located in the Czech Republic. A leader in ammunition since 1825, Sellier & Bellot is the oldest active ammunition maker in Europe. 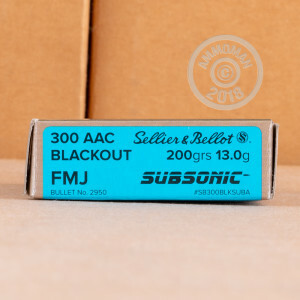 Pick up 20 rounds of this 300 AAC Blackout ammo and get to the range ASAP!